The first of eight children of a housewife mother and working-class father, Patricia Cedeno-Metivier, fondly called Pat by most, was born, bred and schooled in Arima. She grew up in Malabar, in the constituency of D’Abadie/O’Meara. Patricia is married and the mother of two young adults. Committed to her family, Pat also established two successful small businesses. A practising Roman Catholic, Pat was influenced by her late father, who took his family to Mass every Sunday, religiously. As an adult, Pat served the Santa Rosa Parish as chairperson of the events and fund-raising committees. From her youth Pat has shown her commitment to be of service to community, this service now spanning decades. As a teenager, she served as secretary to the Malabar Youth Group, and as pack leader to the community Cub-Scouts. She served as President of the PTA of ASJA Girls’ College Tunapuna, where her daughter attended. She served as Chairman of the Local School Board of the Arima Centenary Government Primary School. Pat also began to be of public service from youth and became one of the youngest ever to serve as an alderman in the country, when she was so appointed to the Arima Borough Council in 1987 at age 22. 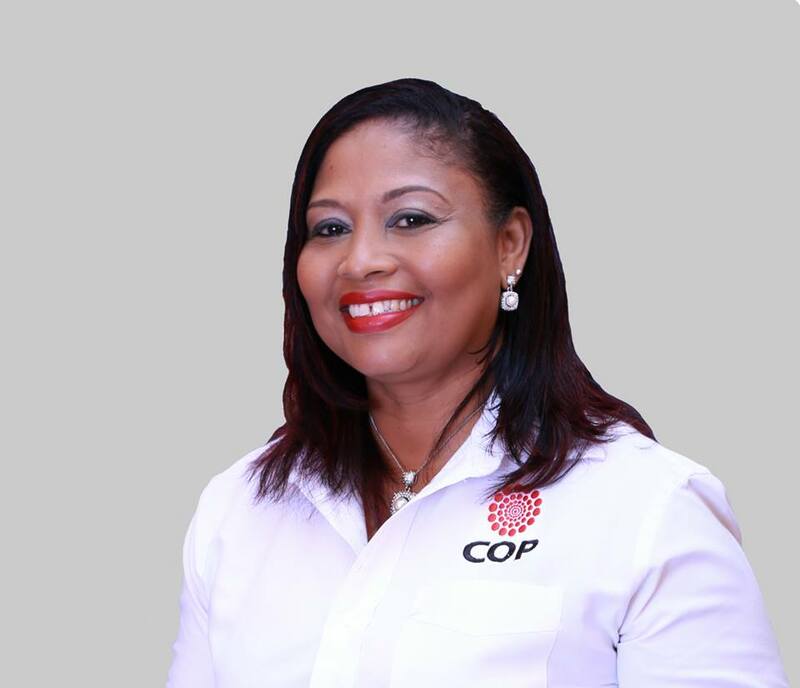 Mrs. Cedeno-Metivier is best known nationally for her service as Councillor and Deputy Mayor of Arima for the 2010 to 2013 term, where she earned the reputation of being one of the most hard-working and effective councillors to have ever served Arima, she got the job done. She remained connected to her community and was always present and accessible to burgesses. When the vacancy arose, she was a natural fit to serve the interests of the constituents of D’Abadie/O’Meara in a caretaker role. When you vote in Patricia Cedeno-Metivier as your Member of Parliament, Constituents of DAbadie/O’Meara, will have a strong, efficient, effective woman with a proven record of service, a mother committed to building communities through families. She plans to continue the improvements to physical infrastructure and amenities in the constituency with equal focus on People Development through education, training and opportunity.